Life insurance refers to a type of insurance the person being insured pays a premium for a period, or for the whole of his or her life, and in returns, the insuring company offers insurance cover for his or her life. For instance, if the insured person (policyholder) dies, the insurance company pays a certain amount of money to the beneficiary according to the agreement (legal contract) of the policy. This money can be used to pay funeral expenses of the policyholder or buy the essential things that the policyholder used to purchase with his monthly income. This is one of the most important insurance policies that an individual can purchase in his or her lifetime. It is a part of the financial planning that every person should consider. There are four parties involved in life cover policies. They are the policyholder, the insurer, the insured, and the beneficially. The person who is purchasing the policy is the policyholder, the insurer is the life insurance company, and the insured is the person whose life has been provided with a life cover by the insurance company. The beneficiary is the person who ultimately gets the compensation from the insurer upon the death of the insured. This kind of insurance policy ensures that the family members do not suffer after their beloved one, which in most cases was the bread winner dies. Life insurance has become popular in most countries, and South Africa as not been left out. So, if you live in South Africa and you do not have a life cover, you can get one in one of the leading insurance companies in South Africa. Life insurance in South Africa has been proven to be the best way of planning your finance for the future. 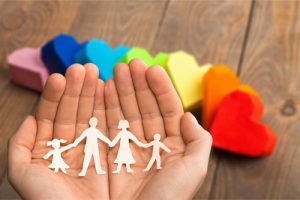 Term life insurance policy – This kind of policy provides the insured person with a life cover or protection for a particular period that has been preset. This period may be one or more years. It requires that the premium be paid throughout the entire period, and the benefits are due at the end of the period. Whole life insurance policy – This insurance policy provides benefits for the entire life. The insured continues to pay the premium as long as he or she is alive. Upon the death of the insured, the beneficiaries are compensated. Universal life insurance policy – This type of policy provides the insured with a variation of the standard whole life insurance policy. The values of the benefits, cash value, grow at a variable rate. Cash value life insurance policy – This is a policy that is designed to provide the insured with various options. Sometimes the premium is made flexible while in other cases it is fixed. The benefit may increase or remain level, and it will increase in value over time. 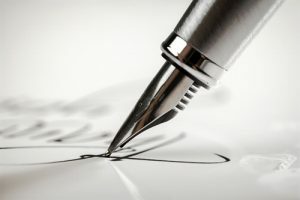 Accidental death / disability cover – This is usually an add-on policy you can get that protects you in the event of accidental death or disability. In other words, should you get in an accident and can’t work anymore due to disability, the policy will pay out. The pricing of policies varies from one company to the other. It is, therefore, advisable to go through several life insurance quotes before settling for a policy from a particular insurer. This is because you might end up paying much cash for services you could have purchased at a much lower price. So, take your time to evaluate life insurance quotes from various life insurance companies in South Africa, or from any other country you are residing in. Remember that the number of the application you submit plays a significant role in determining whether you get a good life insurance quote or not. The more quotes you come across, the more information you acquire concerning the general pricing of the life insurance policies. This provides you with information which will aid in decision making. The main reason for comparing life insurance quotes from various companies is to help you get the best policy at the lowest price possible. This will not only assist in getting the cheapest policy but also a good deal that suits the insured’s particular need. As such, this is the best thing you must do to get full satisfactions from the life insurance. Where can you find quotations? You can get life insurance quotes from an insurance agent, by visiting them in their offices. However, the advent of the internet has made the task of obtaining insurance quotes basic. Its now possible to get life insurance quotes over the web. 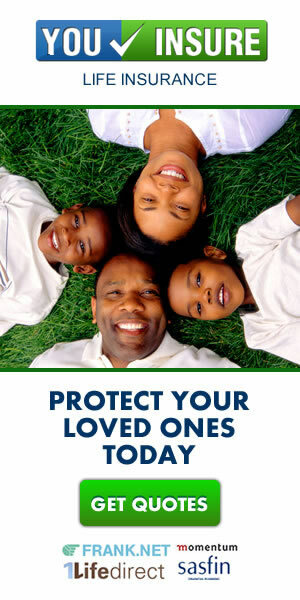 There are websites which specialize in providing life insurance quotes. All you need to do is to enter the area code of your location, and you can get quotes from about 90 different insurance companies in South Africa. The first thing you need to do is to decide how much coverage is required to cover your family safely. After you have compared quotes and decided on the best policy for you and your family, you can purchase the policy. Before this can happen, you will go through an underwriting process. This is where you will be asked a few personal and health related questions to determine whether you are a risk to the insurance company or not. If this is the case, you will end up paying a higher monthly premium, or, in some cases, may not get insurance with the company at all.